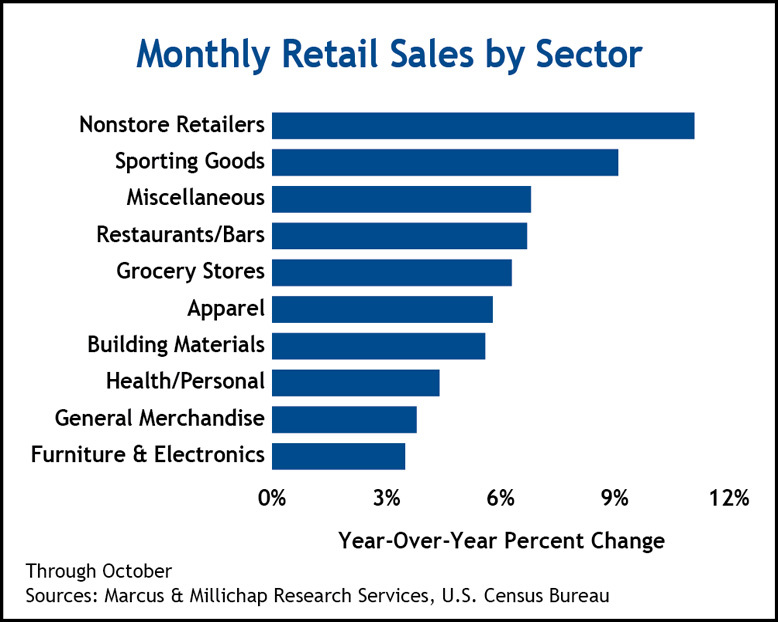 This entry was written by marcusmillichap, posted on November 16, 2011 at 1:40 am, filed under Research and tagged Retail Sales; consumer spending. Bookmark the permalink. Follow any comments here with the RSS feed for this post. Trackbacks are closed, but you can post a comment.